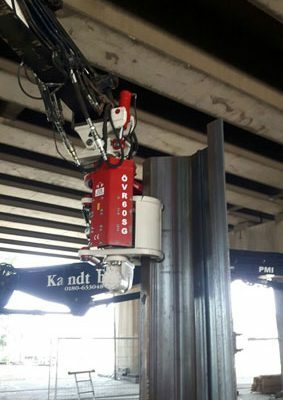 OMS Side Grip Pile Driver is specially designed as excavator mounted vibro hammers. 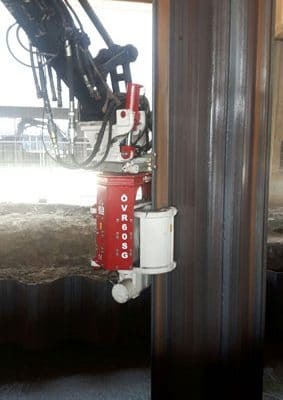 Side grip is easily adapted to the excavator by connection bracket produced by OMS. They are hydraulically driven by the excavators and easily operated by the excavator operator. 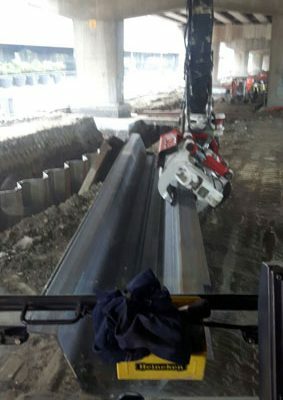 With an ergonomic design and high performance, various capacity OMS excavator mounted side grip pile drivers provide long life, problem free piling application. 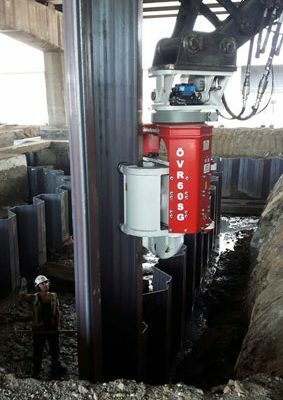 OMS side grip pile driver saves time and money with high performance and piles driving/extracting power. So you can have a shorter job completion time and a higher production rate. Side Grip Vibratory Hammer, can handle, pitch and drive the sheet and tube piles. 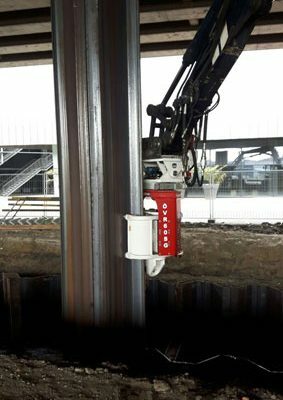 It is capable to accomplish the whole pile driving process without the need for manual handling of the piles or assisting machinery. Side Grip vibro hammer is fast, accurate, safe and suitable for driving sheet piles and cassion (pipe) into variety of soils. You also can see technical specifications.